Hassle free, easy steps with pictures. Then you need some modified files for this WSB (Download all attachments included at the end of the post). Now after downloading and installing WSB, open the programs files of WSB then open folder->Data. Then replace the files with newly downloaded attachments. Start the application then goto to Open -> Import a Windows 7 style. After successfully opening, don’t do anything just click on save. Restart WSB and open the saved .msstyles (the new .msstyles which you saved in step 2) and test it and see if it’s working.If it isn’t repeat step 2. Congratulations! 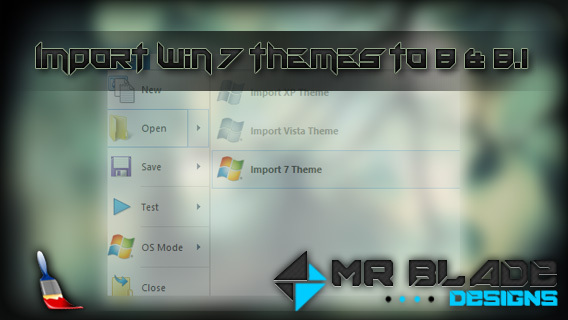 You have successfully imported the theme now we just need some modifications to make the theme work properly! Add a textcolor property to above location. Now save your .msstyle and test it! You will find some problems in your new theme. 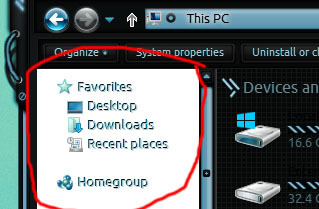 The text color in windows explorer is black as you can see in the image attached. 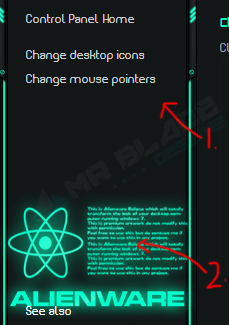 It’s almost unreadable in dark themes. Go into your theme file. Change AutoColorization to equal zero and then add a ColorizationColor that is exactly the same as the one you added in the above step. In order to have those images which we had in windows 7 themes using Theme Resource Changer, we need to have OldNewExplorer installed and we need modified Shellstyle.dll file. Now open the folder shell then open NormalColor folder and replace the shellstyle.dll file with the one I provide. -The image 1 in wsb under navigationPane is the Image 632 from shell32.dll i.e the side image which appear in control panel, personalization etc.